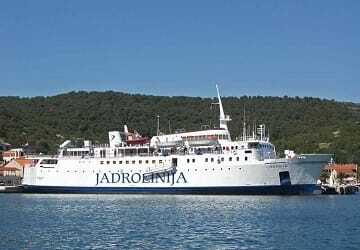 Built in the Netherlands in 1965, the Liburnija was Jadrolinija’s first ferry and retains bit of the style of an older passenger ship. 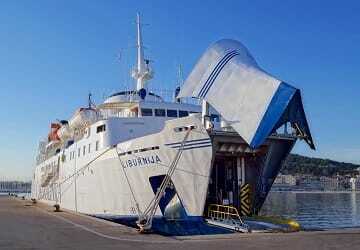 Liburnija can carry up to 671 passengers and 100 vehicles. On board amenities include, an a la carte restaurant, bar and a duty free shop. Liburnija has over 70 cabins with 182 beds to choose from if you decide to relax during your crossing. There are numerous classes of cabins to choose from if you decide to book a cabin, from a 2 berth outside cabin (sea view) complete with shower, toilet, TV and a bar to basic inside cabins. Please Note: Whilst we have taken great care in making our Liburnija guide as accurate as possible, onboard facilities, services and entertainment may vary depending on the date and time of year that you travel, facilities mentioned may change without notification and ferry companies reserve the right to operate vessels other than those mentioned at time of booking without prior notification. No problem, everything was fine. "Crossing back to Rijeka was great"
We returned from Croatia on this ferry to avoid fatigue of our car and ourselves of course too. We were able to enjoy the beautiful scenery throughout the afternoon and evening (resting up, our car too). The staff were very knowledgeable, well organized and charming. The cabins are small but very clean and well equipped (towels and cups). We arrived the next day at 7:00 am in Rijeka, and well refreshed. I recommend this company.